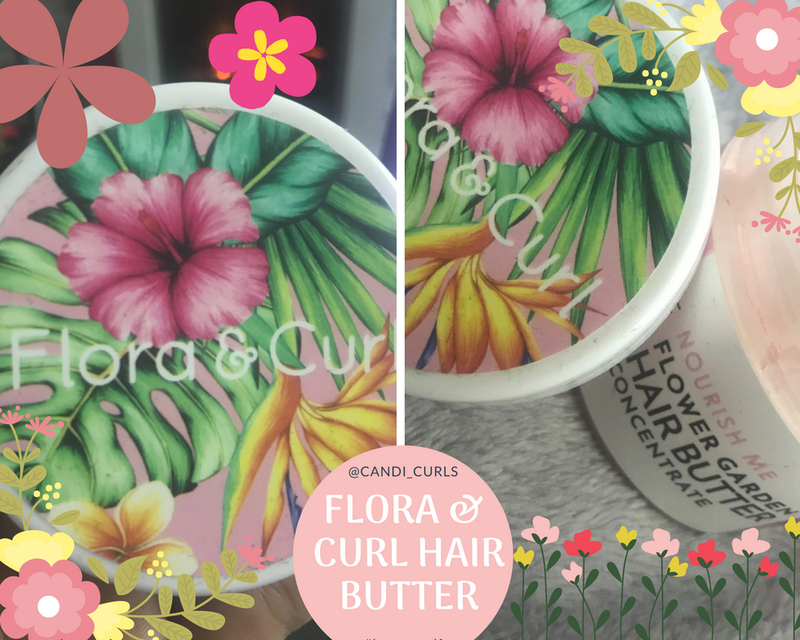 I recently did a review of one of the products from Flora & Curl and now I'm back to review yet another favourite. I feel like this brand have continued to grow and at a very fast rate the last couple of months. From being shared and loved by curl influencers on instagram, to being included in Curlee Box* and even winning awards and being featured in magazines. I am a huge huge fan of their hydration hair mist which you can read about by clicking here. When i went on the website i was torn between this butter and the hair oil. I saw that this one was up for an award and so chose this. First off, it arrived so quick and the packaging is just beautiful. We already know that this brand is full of natural and floral ingredients, and this pretty packaging shows that. It is quite possibly the most girly packaging on my shelf, which makes it stand out a lot. So what is the butter? "Our signature Flower Garden Butter is a botanically power packed indulgence for dry and itchy scalp. 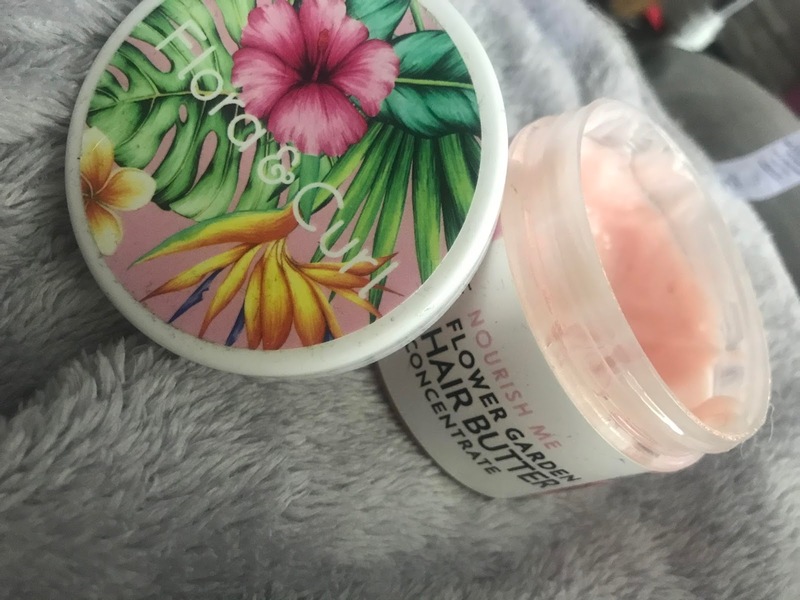 This pink and velvety textured treat instantly absorbs into your strands as it envelops you in the scent of a thousand roses and transports your mind into an exotic garden." This product has so many uses on the website, that it makes it more than worth the £26 you pay for it. When i checked this product out, i thought that it was going to be a thick cream and work similar to a lotion. I was wrong. This is, as it says on the tub, a butter. It may look like a cream, but it melts between your hands turning into an oil. 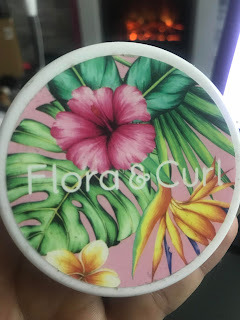 I wasn't sure how i best wanted to use this product and so i tried it a few different ways like the ones suggested on the website. My fave way has to be, as a sealant! Using this product lastly in my LCO method, works so well. The moisture is locked in and my hair has a wonderful shine to it as well as smelling floral and fresh. I love that this product is such a vibrant shade of pink, it reminds me of yogurt creamy and soft and pink is my favourite colour. The way it melts is effortless and it doesn't leave any sticky residue. It spread easily throughout my hair, locking everything in. Where the hydration hair mist smells very floral, this butter is more of a sweet flower smell and reminds me more of a candy. It honestly smells good enough to eat and i can not get enough of it. I admit i was concerned at first about how long this tub would last. It wasn't as big as i expected, although it came in a large box. 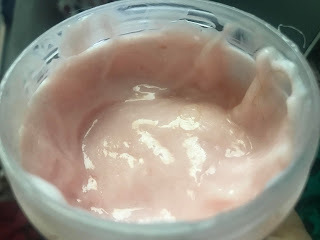 It is actually a 150ml tub, and due to how much it melts, you do not need to use a lot of it at all. The directions say a pea-sized amount and that is exactly how much you need. I have had my tub for a few weeks now and it is still almost full. Overall i think this is definitely a product that i will be purchasing again in the future. It is long lasting and the results last days. It ticks all the right boxes for me. Check out the many uses for this butter below and if you would like to try it out use code "CANDI" at the checkout and you can save yourself some money on your orders. Sealing: After moisturising hair with the Floral Hydration Mist and/or oiling hair with the African Citrus Oil, warm a pea-sized amount of butter between your palms and distribute throughout hair from roots to ends to lock in the moisture to provide long term hydration. Can be used as the final step of the L.O.C method. Twirling: Apply as above, then scrunch to create curls, or twirl strands between your fingers to create curls. Allow to air dry. Twisting/Braiding: Apply to twist outs, braid outs, corn rows and protective styles to add shine and definition. For a no-rinse deep conditioning treatment: Apply to clean and damp hair, with a focus on your ends as the driest. Cover hair with a shower cap. Apply heat if desired to improve penetration. Leave in to restore moisture, shine to dull and dry hair during the week. *Curleebox is a monthly subscription box costing £20 a month (+p&p) and brings you products each month. Check them out at www.curleebox.co.uk and on Instagram @curleebox.